Eating fruits and vegetables that provide sufficient vitamins and minerals for your body is an important part of a healthy diet. Unfortunately, the modern lifestyle brings a new challenge to people who want to stay healthy. There are now various reasons that may hinder you from getting enough fruits and vegetables. 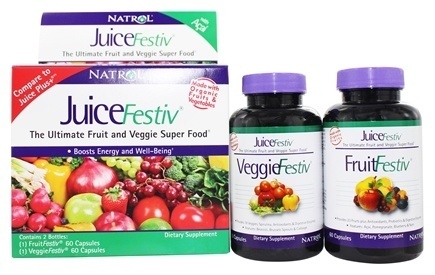 You can try to fulfill your daily nutritional needs with a dietary supplement like Juicefestiv. However, is it really safe for consumption? Find out about Juicefestiv side effects below. So, what is the Juicefestiv supplement, exactly? 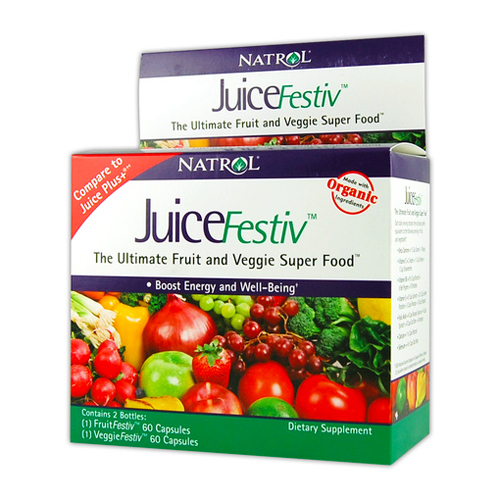 According to the manufacturer, Juicefestiv is a metabolism-enhancing supplement that contains various fruits, greens, and grains. It is actually a system of two products, the Fruitfestiv and the Veggiefestiv. You are required to take two capsules from each bottle daily. Juicefestiv is produced by Natrol; it was introduced for the first time in 2015. Juicefestiv’s ingredients include an organic blend of fruits and vegetables, a clinically-tested form of selenium, enzymes, and probiotics. The supplement is supposed to promote the consumer’s energy and wellness. It is sold in the official website as well as through a number of trusted retailers. Frankly speaking, Juicefestiv has quite a lot of positive comments and reviews, but it is not without the negatives and possible side effects. The first of the possible Juicefestiv side effects is the lingering aftertaste that stays with you all day long. The tastes of the capsules themselves are not particularly pleasant. Make sure that you drink them quickly if you don’t want to have a strange taste lingering on your tongue. Even after swallowing the capsules, some users report that the supplement makes them burp an awful taste for hours. The lingering aftertaste is a mixture of garlic, onion, pepper, and some chemical-like vitamins. Furthermore, some users report that the supplement makes them burp regardless of whether they take it before or after a meal. But some others say that taking it with a meal does help to prevent the burps. The next possible Juicefestiv side effects are allergy reactions. Keep in mind that, while fruits and vegetables are generally good for the body, some people may be allergic to certain ingredients. If you experience an allergy reaction after consuming the supplement, you should seek a medical help immediately and stop consuming the supplement – it may contain one or more ingredients that induce the allergy. Allergy reactions can be classified as mild, moderate, or severe. Mild allergy symptoms include rash, local itching, and congestion; they don’t spread to other parts of the body. They usually happen due to a localized contact. Moderate allergy symptoms may spread to other parts of the body and include itching and breathing difficulty. A severe allergy reaction is called anaphylaxis and can be life-threatening. The symptoms may include hives, swelling, abdominal pain, cramps, diarrhea, vomiting, and dizziness. Note that the swelling may happen in the mouth, tongue, or throat. The swelling may hinder swallowing and breathing. A severe allergy reaction requires immediate medical help and is usually treated with an adrenaline injection as the first-aid treatment. In order to avoid such dangerous allergy reactions, you have to read the ingredient labels of the supplement’s bottles first. Check the ingredients thoroughly to make sure that you are not allergic to any of them. If you don’t know whether you have an allergy or not, it is a wise idea to visit your doctor or a hospital to ask for an allergy test. If you have any chronic stomach issue, you have to be careful with what you eat. This also applies to the supplement that you consume. For example, if you have a chronic heartburn or stomach ulcer, you have to avoid acidic foods and drinks. People with such conditions are significantly more prone to additional stomach problems caused by dietary supplements. Potential Juicefestiv side effects include stomach problems. Some users report that Juicefestiv caused them instant gut pain, heartburn, and bloating. Apparently, such problems were due to underlying conditions that were made worse by the supplement’s ingredients. Some fruits and vegetables, despite being healthy, are quite acidic and may cause stomach problems. Other potential side effects include gas and diarrhea. Note that Juicefestiv has a chance of interacting with other drugs and treatments that you are currently taking for a medical condition. For example, Juicefestiv is not recommended for people who are undergoing a radiation or chemotherapy treatment, as the antioxidant agents may reduce the efficacy of the treatment. In order to avoid adverse side effects and interactions, you should consult your doctor before taking any additional supplement. Still related with the previous section, Juicefestiv may cause stomach problems that are caused by interactions with other substances. Juicefestiv contains some magnesium; if you also consume other supplements/foods that are high in magnesium, you may get excessive magnesium intake which may lead to nausea and diarrhea. Juicefestiv also has some iron. Taking an iron-rich supplement on an empty stomach promotes the likelihood of nausea. So, it is recommended that you take the supplement after a meal to prevent the nausea. Finally, too much vitamin C can also upset the stomach. 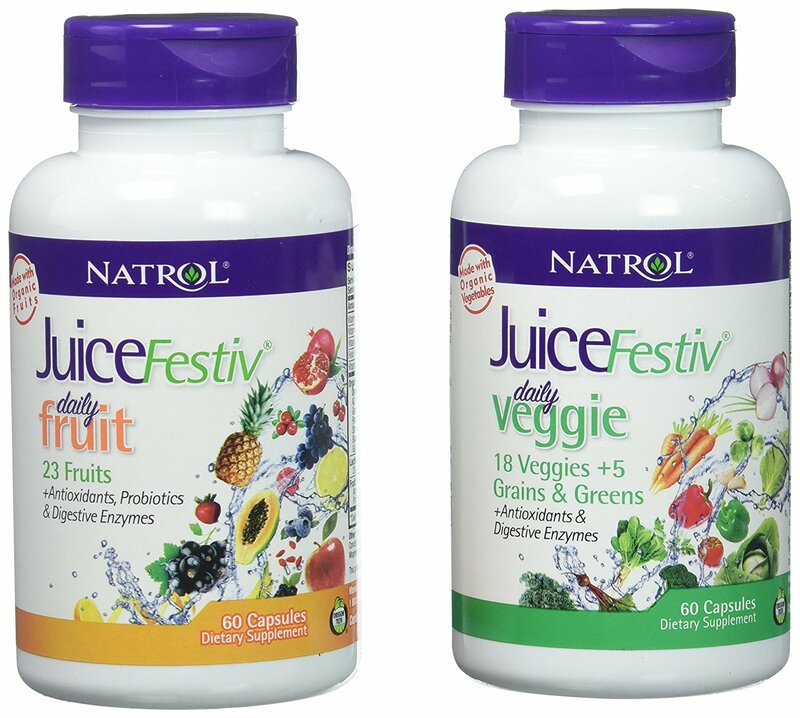 Juicefestiv has 100 mg vitamin C from the Fruitfestiv capsule, which is equivalent to 167% of the recommended daily value. While the level is not extremely high, your total vitamin C intake may also be increased from other foods. Too much vitamin C may cause gas, bloating, stomach pain, and diarrhea. It is made worse by the magnesium supplementation. Juicefestiv can be a good supplement to supply your daily vitamin and mineral needs. It does contain good fruits and vegetables that can nourish the body. However, it is not without potential side effects. It may cause burps, especially if taken without food. It may also cause allergy reactions, so make sure that you are not allergic to any of the ingredients. Finally, it may cause stomach problems, and interactions with other substances may cause negative side effects. If you are currently taking a medication or treatment, consult with your doctor before taking this supplement.